The Watoto Church from Kampala, the capital of Uganda, has established a campus in Gulu and are extending their substantial ministry amongst AIDS orphans and abandoned women to include the victims of both war and disease in the north. Watoto shares integratedDESIGNgroup’s commitment to community and the basis of that commitment, and a partnership of service has been forming since 2007. Please take some time to see the great work that Watoto is involved in and how you might support them on their website. 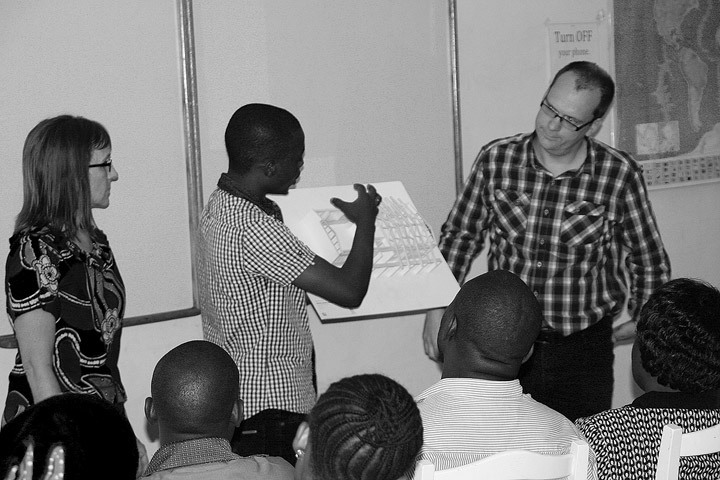 We at integratedDESIGNgroup are assisting the District and Municipality of Gulu (Uganda) in framing and communicating their vision for the sustainable development of Gulu through positive and directed growth. We are working with local stakeholders and public servants to bring insights from western successes and advantage but also recognising unsustainable errors which our society now struggles to overcome. There is a very real sense in which civil war has cocooned Gulu from the worst of our excesses and ‘preserved’ it to move in an alternate path, leap-frogging our error and leading into a new pattern of sustainable urbanism. See more about what is happening as part of the Gulu city revitalisation here. integratedDESIGNgroup was part of a multidisciplined team from Engineering Ministeries International (EMI). We provided architectural leadership and a master plan for the development of a new primary school with teacher accommodation. Kigoma primary school is run by Hope of the Nations and caters to over 300 students.